There is something you can do to get through winter gracefully. You can plan gatherings. You can bring people together, sip wine, nibble and chat. 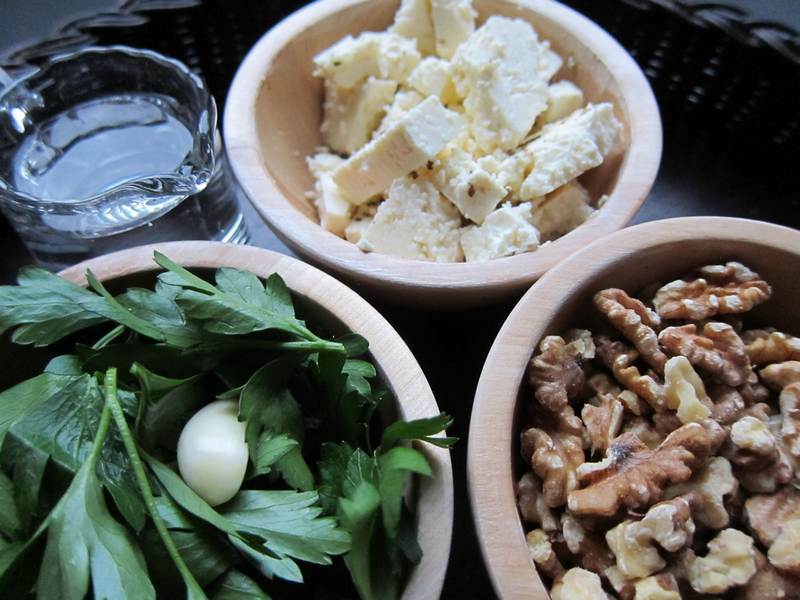 This Feta Walnut Dip will get the party started. Quickly blend the walnuts, garlic and parsley in a blender or food processor. Add the feta and half the water. Blend until smooth. Add more water if needed to get desired consistency. Refrigerate covered. Garnish with a little drizzle of olive oil and oregano. 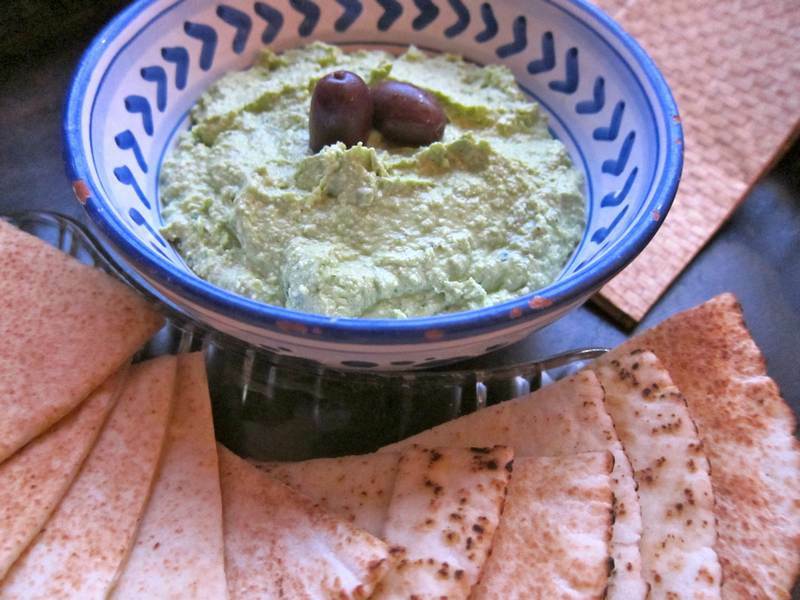 Use as a raw vegetable dip or a spread on bread or crackers. 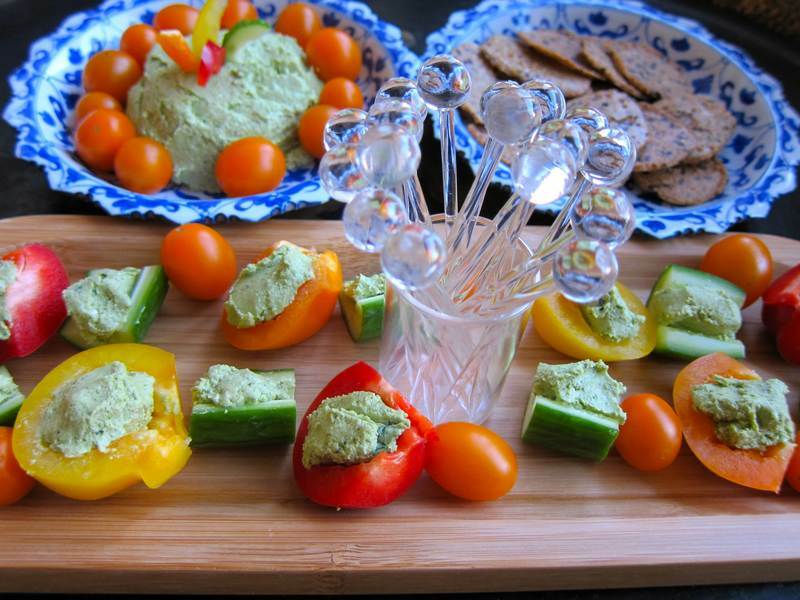 Stuff Feta Walnut Dip into celery or hollowed out cucumbers. Makes about 1¾ cups. Serves 6. Another work potluck inspired recipe. Thanks to co-worker Susie Martin for her refined palate and good taste! This recipe is adapted from Mollie Katzen, “The Moosewood Cookbook“. What are the Best New Products that People Don’t Know About? See Jittery Cook‘s Turkey Curry Naan Pizza post and join the Turkey Comfort Food Makeover Contest. I keep getting “Page not found”. I want to see the recipe!!! I hope I just fixed it. Anybody else have “Page not Found”?